The luxurious truffle is highly prized and sought after for its intense garlic flavor, yet extra-ordinarily delicate earthy aroma. As the leaves begin to fall, the winter truffle season creates a stir as chefs and connoisseurs alike begin their holiday season cooking with the finest of mushrooms, the truffle. With O&CO.’s gourmet truffle line, you’ll impress every guest at the dinner table or as a gift for the epicurean on your list. 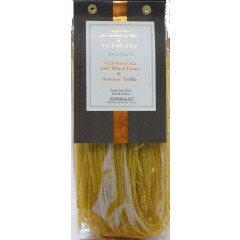 The truffle is an extremely valuable and highly sought after underground version of a mushroom. These delicacies grow within the roots of trees and are harvested through the winter months beginning in October. Although there are many different types of truffles, only a few are considered gourmet. Brillat-Savarin, a famous French gastronomist once called truffles "the diamond of the kitchen". Due to the delicate nature and rich aroma, the truffle has become an essential ingredient in every top chefs kitchen around the globe. Preparation of truffles should be consider based on type; either black or white gourmet truffles are most common and have a strong infusion of flavor on surrounding ingredients when preparing and cooking. 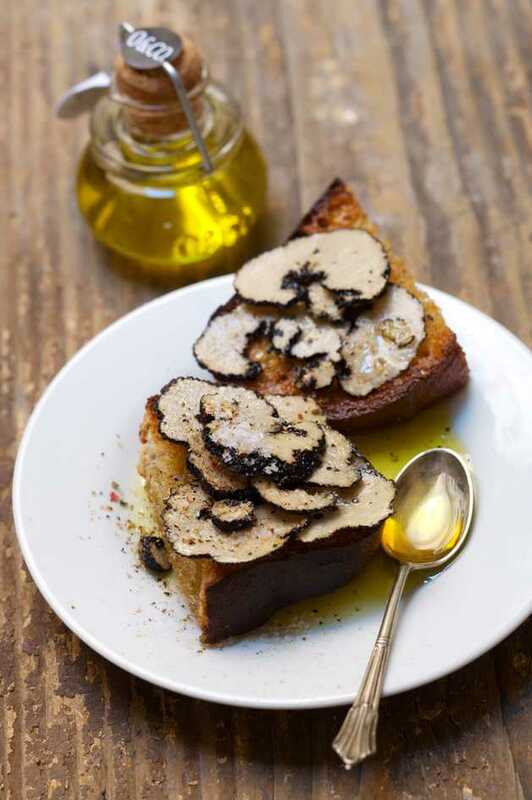 Oils and salts are also excellent ways to utilize the unique flavors found within the truffle. Truffle oil is a contemporary culinary ingredient that is used to pervade the flavors and aroma of the truffle into the food preparation. 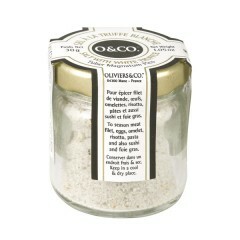 O&CO.’s Truffle Crostini recipe utilizes both truffle salt and oil and is a great way to start your truffle experience. 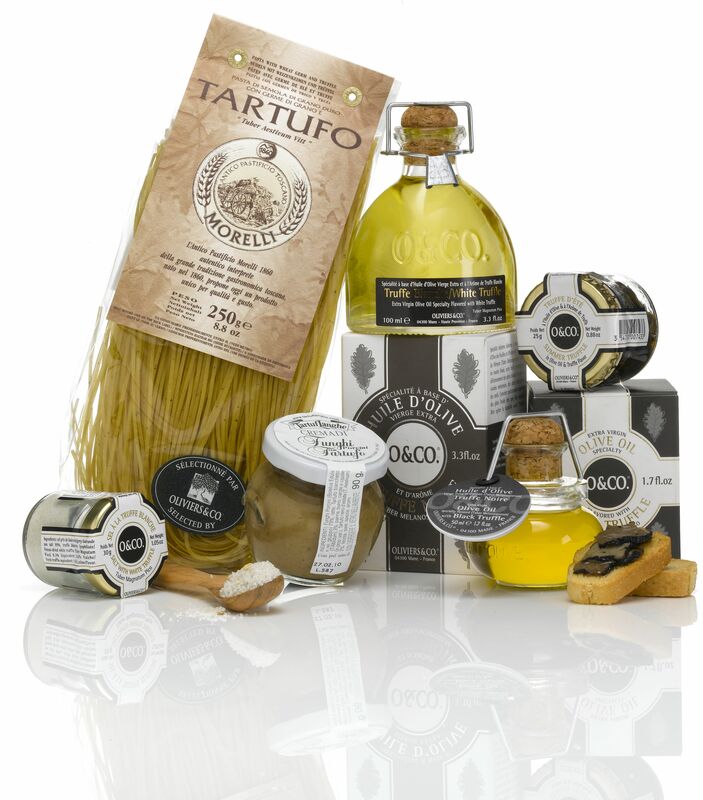 Black truffle oil is also a marvelous way to dress up your favorite foods; it can even be used to drizzle over pasta, vegetables, seafood or even pizza. Parmigiano Reggiano and Truffle Cream is made from Parmigiano Reggiano cheese and Black Summer Truffles, ideal to dress any kind of pasta or to simply serve as an appetizer and can now be found at O&CO. O&CO. has been cultivating tradition, expertise, and high standards for over sixteen years. Since 1996, we have been visiting orchards and meeting with producers throughout Provence and the Mediterranean basin, forging a new image of the olive tree, rooted in tradition but firmly anchored in the modern world. This hard work and dedication is to ensure our customers the best selections of olive oils, truffle oils, and other delicacies from across the Mediterranean. For more information or to order O&CO’s gourmet truffle products visit http://www.oliviersandco.com or one of six boutique locations which can be found on the site. You may also find O&CO. on Facebook.